Hi, I'm Christine Pappas and I'm here to answer your real estate questions. Christine Pappas, RE/MAX Real Estate Agent is making the Home Buying and Home Selling experience better for you. Christine will tell you 'she never wants to let anyone down'. This is the driving force behind Christine Pappas' real estate business. Christine participates in educational courses and keeps current with the most effective current trends that will ultimately help her serve her client's real estate needs. She is privatley coached in Internet Marketing, is a Member of The Institute for Luxury Home Marketing and Professional Developement and has earned the following designations. Christine Pappas earned her real estate license in the State of Ohio in 1999. Christine is a full time real estate agent and serves on various real estate organization committees and boards. 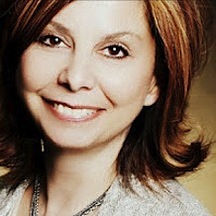 Christine Pappas, RE/MAX Real Estate Agent works primarily in Willoughby, Kirtland and the surrounding areas in Lake County, Cuyahoga County and Geauga County. Who Can Christine Pappas, RE/MAX Real Estate Agent Help? Christine Pappas an Ohio RE/MAX Agent works in Residential Real Estate in Northeast Ohio serving the areas of Lake, Geauga and Cuyahoga Counties. Marketing, All things Apple, Techy Stuff, Yoga, Pilates, Tennis, Hiking, Reading and spending lots of time with family and friends.